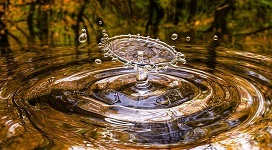 One drop of water can cause wide ripples. Similarly, a transfer of staff under the Transfer of Undertakings Regulations can produce hidden liabilities for the new employer. Managers involved in such a transfer (TUPE as it is known) should be familiar with the need to ensure that all the key liabilities are included in the indemnities provided by the organisation transferring staff. – Proof of the right to work in the UK and sponsorship of non UK workers. A failure to pay the National Miminum Wage by the old employer will result in the new employer becoming liable. HMRC will enforce payment from the new employer, irrespective of the fact that the previous employer was at fault. The financial costs will include both the underpayments and penalty charges. Pursuing the new employer has been the practice of HMRC for liabilities arising after 2nd July 2018. Another common pitfall for the unwary is whether additional payments were due but not paid to individuals. Underpayments of unsocial hours premia, overtime supplements and holiday pay can be a source of dispute over several years which the current employer has failed to resolve. You will need to clarify whether there are any employees who have not been paid the National Minimum Wage (or other payments above). You should seek their names, the shortfall in payments and the date on which the shortfall(s) in payments arose. The wording of your question has to be such that it ‘reminds’ the transferor of the potential shortfalls such as a clear statement that all hours deemed in law, as working time, have been paid at or above the appropriate National Minimum Wage rate. That is particularly pertinent in organisations such as residential care homes. Check out any assumptions made about the effect of a break of several months in the provision of a service means that TUPE is not applicable to the transfer. That could be an expensive assumption. Recently, the European Court of Justice ruled  that even a 5 month break would not necessarily defeat a claim of liability against the new employer. The facts of the case meant that the ‘break’ started before the school holidays and continued for three months while the school was closed for the holidays. The service in question resumed when the new school term started. As much of the break was during the school holidays, the Court stated that, on the facts, it did not lead to a break in the provision of the service. Expensive liablilies can also arise relating to benefits. In particular, permanent health insurance benefits need careful review to identify any individuals who may be entitled to continue to receive such benefits. Terminations denying such a benefit may be deemed unlawful. The wording of such benefits should be examined to uncover any actual liabilities. If there are, agreement should be reached on any financial adjustments that are necessary in the light of such liabilities. If the old employer dismissed an individual as early retirement benefits had been agreed, that liability will usually pass to the new employer. It is one of the exceptions to the general rule that occupational pension schemes do not transfer to the new employer. – Use your operational knowledge to identify any unusual aspects for which indemnities should be sought. Colino Sigüenza v Ayuntamiento de Valladolid ECJ – 08 August 2018 – whether a break in a service provision counts. Home Office ‘Tiers 2 and 5: guidance for sponsors Version 01/19’ – see Annex 8 regarding TUPE transfers. If you would like an independent eye cast across the indemnities that are likely to be pertinent to your context, before and after a transfer, please call us to discuss the help we may provide to you.